Solana at The Park seniors love participating in our wealth of dynamic activities that range from cognitive and physical exercise, musical events, pet visits, spiritual opportunities, picnics, and many other outings that encourage a vibrant lifestyle for everyone. Having a variety of events increases happiness, self-worth, develops friendships, physically strengthens, and preserves both cognitive and physical health during the aging process. 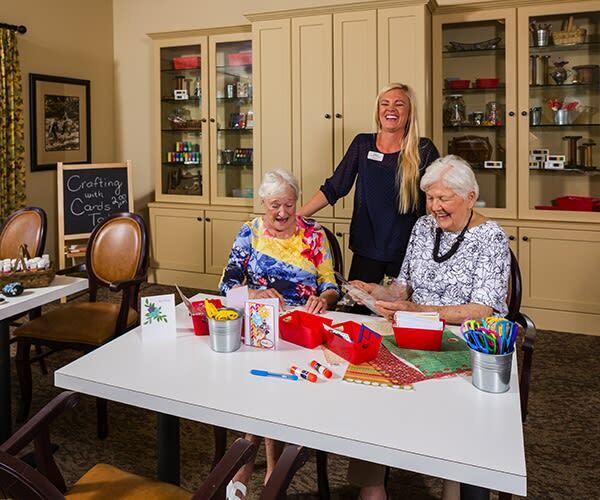 Our residents are offered a variety of activities designed around their interests, and enhance their aging journey by staying active. At Solana at The Park, we love to have family visit and participate in events, so come visit our community for yourself to see what’s happening today. At Solana at The Park we often host presentations by local health care providers and specialists on a wide variety of topics and opportunities for our residents to have fun or learn. Look here for updates on any events that we are having.